No "set of instructions" or previous experience is required but you will be rostered on with other experienced sausage sizzlers who will happily show you what to do. There are essentially 4 jobs - (1) cooking the sausages and onions, (2) putting the sausages and onions into the bread rolls as they are ordered, (3) serving the customers, (4) keeping the "supplies" going, ie transferring drinks, rolls, sausages, onions, sauces from "bulk storage" to usage point, including wrapping rolls in paper napkins and cutting stringed sausages into individuals. When it's busy (over lunch, 11-1) we have 4 people rostered, each essentially doing one of the above jobs. During "off-peak" we have 2-3 people on. The where is Bunnings on the corner of Leach H'way and North Lake Rd, Myaree. Wear something comfortable and cool that you don't mind getting a bit greasy. Just be there at your rostered time or a couple of minutes early. There's no "preparation time" required. We really enjoy the Sausage Sizzles. It's a good, "fun" time to foster relationships with fellow sausage sizzlers whilst earning money for Rotary Attadale's charity fund and providing a service to the community. Whilst we (Attadale Rotary) run the sausage sizzle once a month, Bunnings have the sausage sizzle every week, usually run by some community club to raise funds, so you can drop down any weekend to see how it's run. Have you ever thought you would like to do some volunteer work on an occasional basis (ie when it suits you), without having to make an ongoing commitment? By becoming a “Friend of Attadale Rotary Club” (FARC), you can do just that. If you are interested in becoming a FARC, please send an email to martin.houchin@hotmail.com and you will go onto the FARCs email distribution list. Volunteering is often more fun and rewarding with friends, so please feel free to invite others to become FARCs. 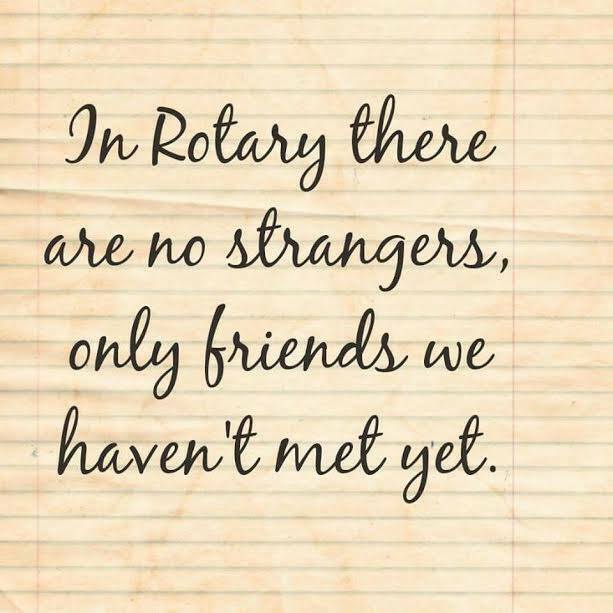 Rotary is a worldwide volunteer organization of more than 1.2 million people. Clubs are non-political, non-religious, and open to all cultures, races, and creeds. As signified by the motto "Service Above Self", Rotary’s main objective is service — in the community, in the workplace, and throughout the world.